In today’s Av (audio -video) world having an IT (information technology) background is a necessity to EVERY project. Digital Living is noticing more and more competitors, like Geek Squad, and local AV providers falling short in the convergence aspect of the project. We fix more jobs due to a lack of IT or networking knowledge and a lot of them are from Geek Squad. Digital Living has 20 years in the IT and Advanced Networking fields and we approach every project armed to tackle integrations with experience. 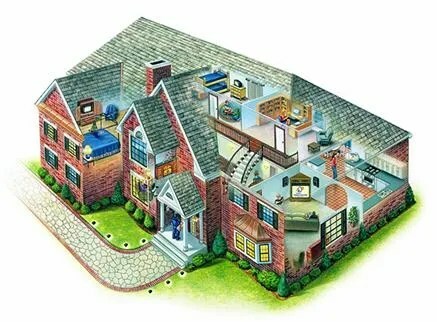 Here is an article by HomeTheaterReview that talks about the need for you AV pro to have IT and networking knowledge. These savvy installers find ways to install lighting control and shades that save electricity. They integrate in property irrigation that saves water and provides better results. They locate cameras around the house that are connected to cloud-based DVRs that offer a well-heeled family a piece of mind that is quite valuable. It is imperative to work with a knowledgeable and experienced company from the onset of your project or you could be spending more in the long run. Digital Living has extensive experience with Cisco, Microsoft, ATT, Xfinity and CLEC carrier networks, along with wifi and wired networks for business and residential. I wish I knew six months ago what I know now, as I would have punched open the walls of the condo that I am living in so that I could have Kaleidescape in my bedroom and hardwired Internet to my HDTVs. Drywall patching and paint isn’t THAT expensive, even when done by a pro.